CEO’s and public relations experts can learn a lot from watching politicians, in this case it’s the vision-thing. need to know what MT stands for. And that he’s said ‘No’ to the US about more troops into the Middle East. It’s matters that he seems to have effectively managed the Jamie Briggs and Mal Brough controversies. But these aren’t a replacement for a vision that a will unite an Australian majority? The absence of one is clear if, for instance, you read the longish transcript of the 3AW Neil Mitchell interview (Jan 29th). Will he be the PM that turns Australia into an innovation nation, or a country that’s sustainable, steering away from coal mining and heading towards carbon-neutral, or a quality food producer to exploit the approaching global food crisis, or all of the above? This need for a vision is a challenge for every CEO, talked-up by public relations advisers and marketers, and I argue there’s ample evidence that people (voters, investors, employees, customers) are much less tolerant in the digital age of leaders who don’t deliver. It looks so simple, but it confounds so many. MT has issues with #1, but every political leader has a fractious party; however, falling short on #2 presents a challenge of his own making. You can argue that we know a lot about Turnbull’s beliefs, they are on the news nightly. But in all communications there should be two messages, the ‘Incident Message’ (about the issue of the day) and an over-arching ‘Brand Message’, and it’s the latter that’s missing. And then it’s up to the public relations advisers and marketers to make sure we hear it, often: ‘Repetition = Penetration = Impact’. 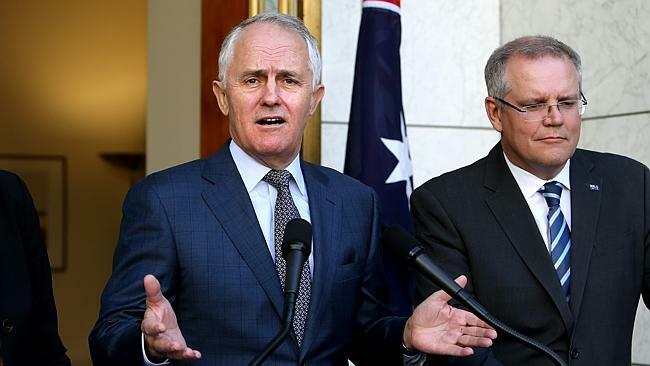 It’s going to be made a lot harder too, as the election year will be dominated by tax reform (mainly a GST debate), which is a tough sell – complex for people who try and understand it and generating distrust amongst those who don’t. Next PostCEOs - your social media - ToDo or NotDo?